Usually when I walk into a hotel for the first time, I have no idea where I’m going. Worse is when the taxi driver doesn’t drop you off at the main entrance. I didn’t have to worry this time though. 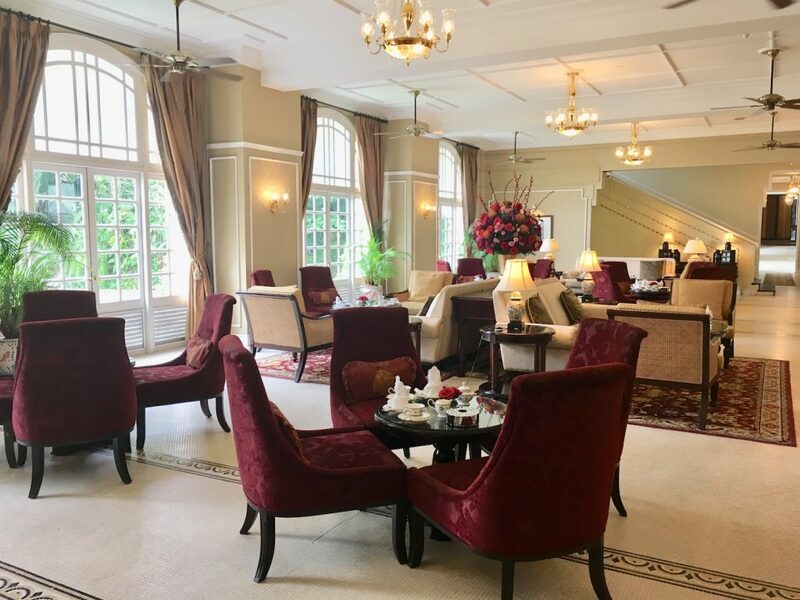 I had my parents with me during my afternoon tea at The Majestic Hotel Kuala Lumpur. And thankfully, they stayed at the hotel just a year prior. The Majestic Hotel Kuala Lumpur is directly across the street from an impressive work of architecture, the Kuala Lumpur Railway Station. It’s also very close to the National Museum and not far from the iconic Petronas Towers accessible by car. Above is a pic of the old entrance where I entered through. The pic above this shows the new entrance. 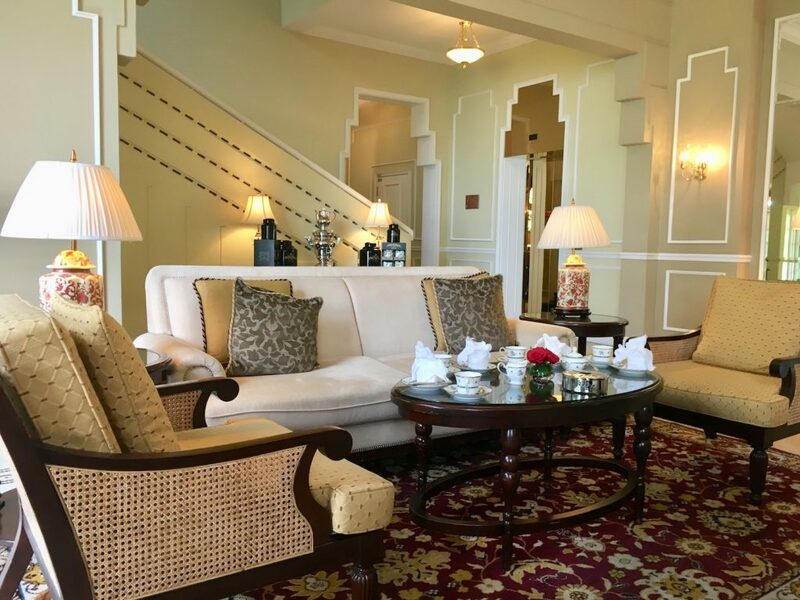 There are a few options for where you can sit to have afternoon tea at The Majestic Hotel. One is the Orchid Conservatory, which apparently has to be reserved way in advance because of its popularity, see below. 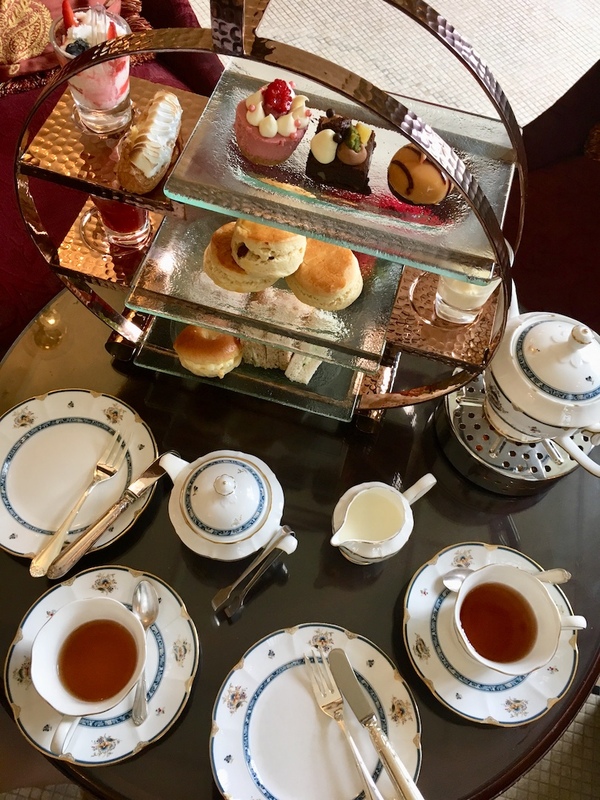 I had afternoon tea at The Tea Lounge, which is located in the original part of the hotel. 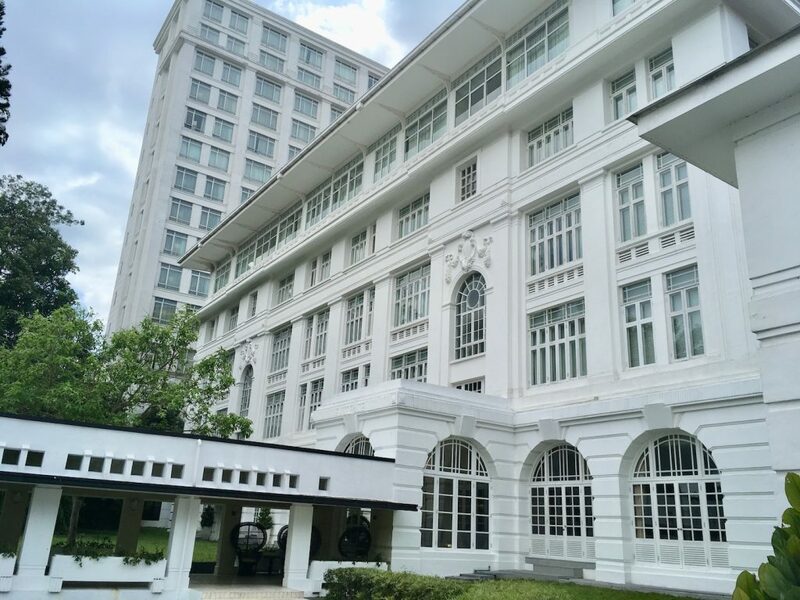 It still holds some of its colonial feel with its white framed windows. The room overall is bright and airy. 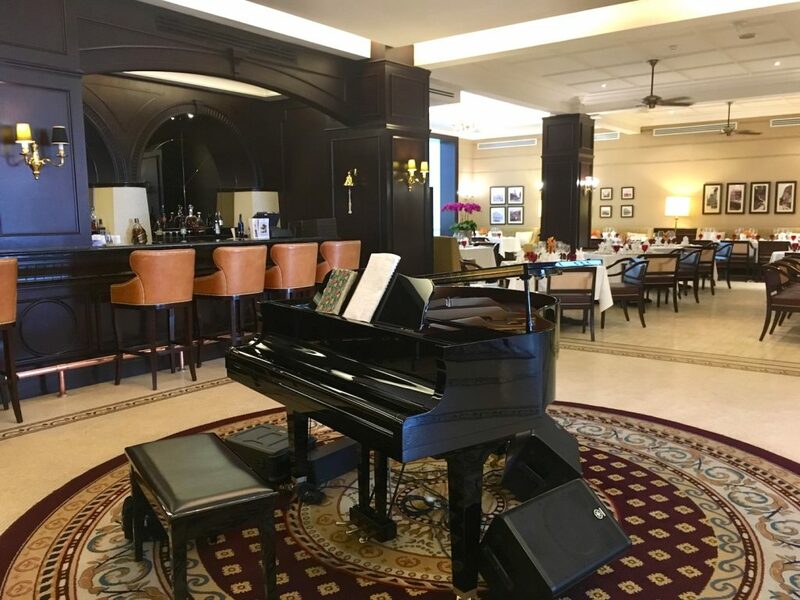 There was a live pianist who played during the time I had afternoon tea. On a weekday, it wasn’t particularly busy in The Tea Lounge. There were some tourists and surprisingly to me, two groups of men having afternoon tea. I’ve been to many afternoon teas all over the world and haven’t seen groups of men having tea! 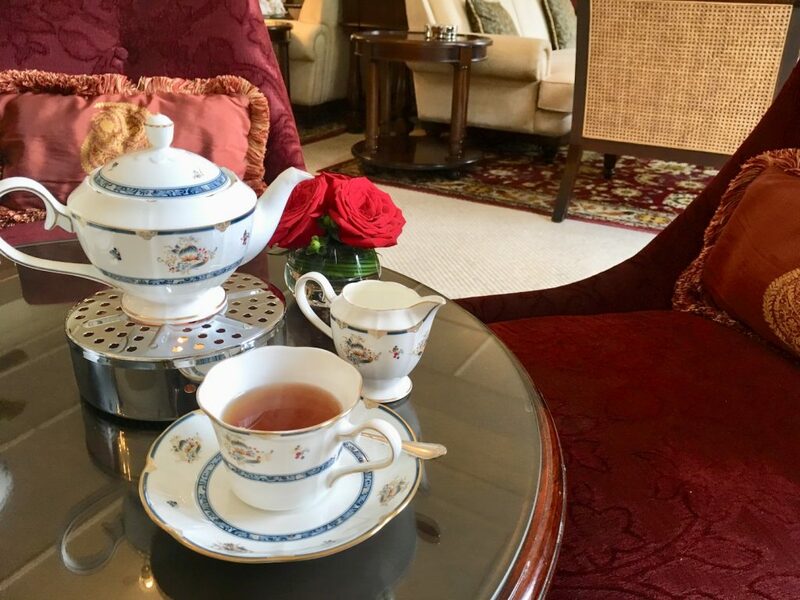 You’ll find all the classic teas you’ll want to go along with your afternoon tea food, all from TWG Tea. I went with what I usually go for (unless there’s a blend specifically made for the hotel) – earl grey! I liked how the tea pot was put on a warmer so the servers didn’t have to constantly add hot water, or make sure the water was still hot. 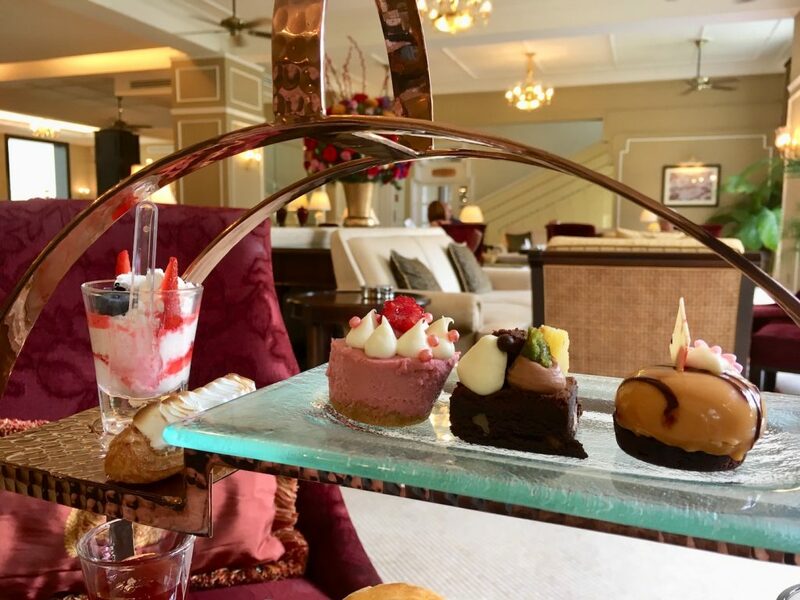 There is one afternoon tea package available at The Majestic Hotel. Please note that there are differences in price depending on whether it is a weekday or weekend, and depending on where you sit within the hotel. See details below for pricing. 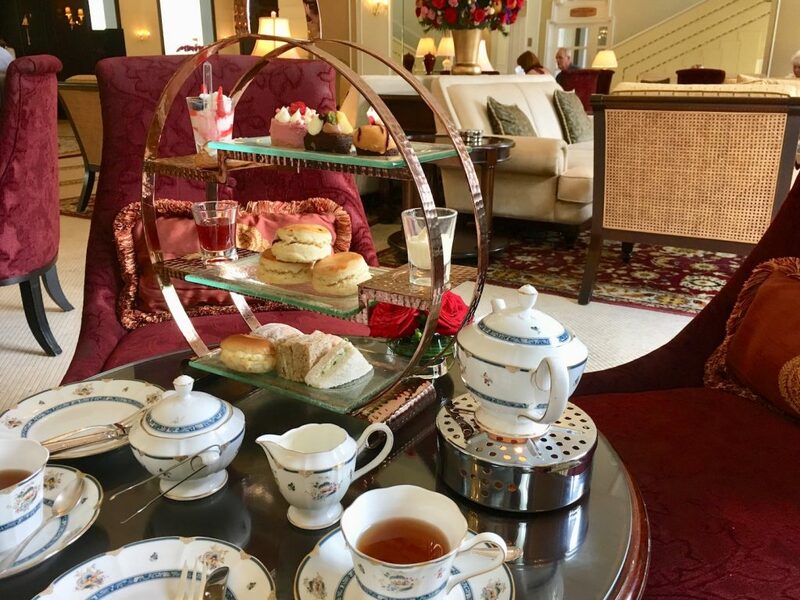 This review shows the afternoon tea on a weekday in The Tea Lounge. 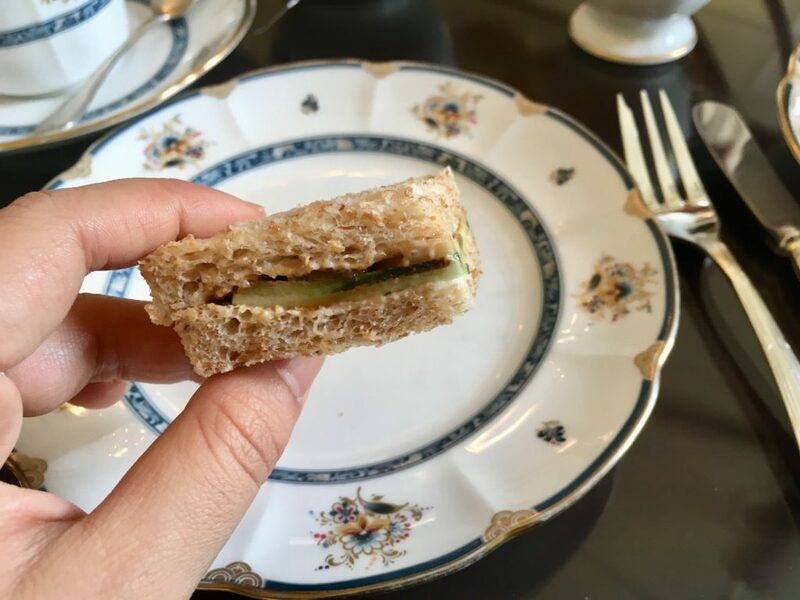 Savories included classics like sandwiches with egg and cucumber. Meanwhile, a little while after the three tiered afternoon tea stand arrived, another box of food arrived. This was for the warm savories with a delicious mango chutney. All of the hot savories had two of each item, but some of the cold savories only had one. 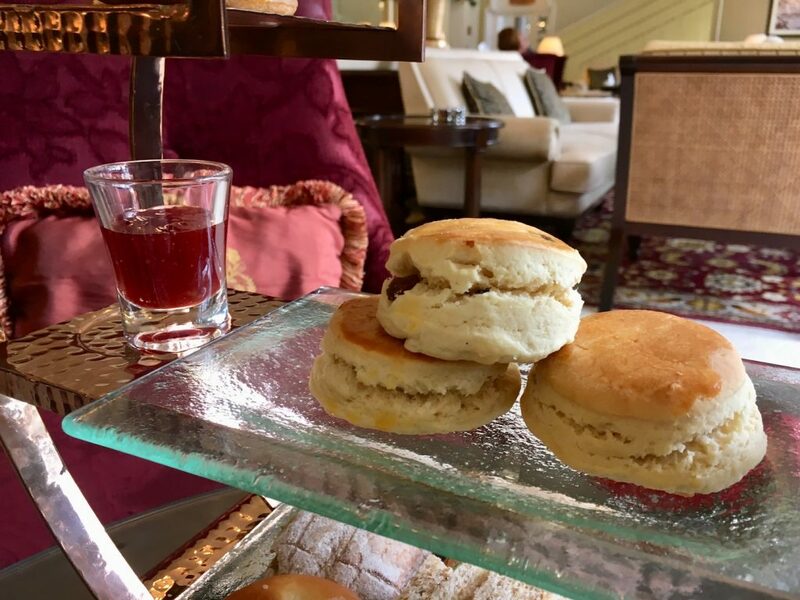 There were three scones – two fruit and one plain that came with jam and cream. 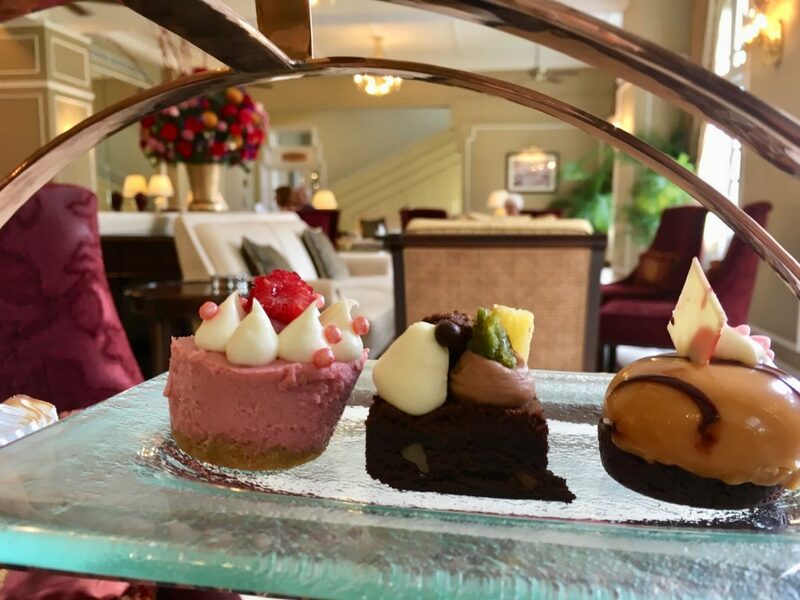 A selection of five different desserts included flavors like chocolate, peanut butter, raspberry, lemon and more berries. There was one of each type, so we had to split them in order to taste each one. 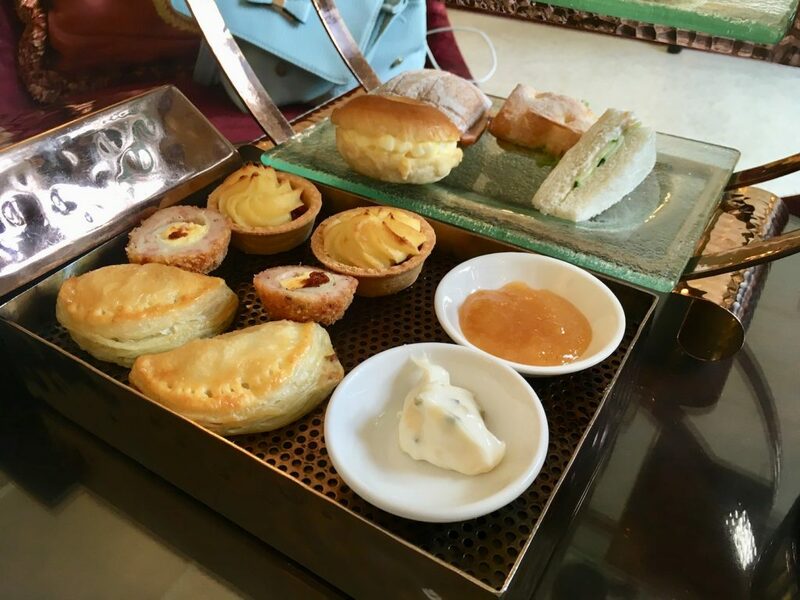 The food arrived on a three tiered circular afternoon tea stand, which you can typically find at hotels located in Asia. The hot savories arrived separately in a box to keep them warm. Staff brought everything in a timely manner and checked if we needed more hot water for our tea every so often. I did not check if there was WiFi available at The Tea Lounge. Though in my experience with most hotels, they usually will provide a password if necessary to access the WiFi. 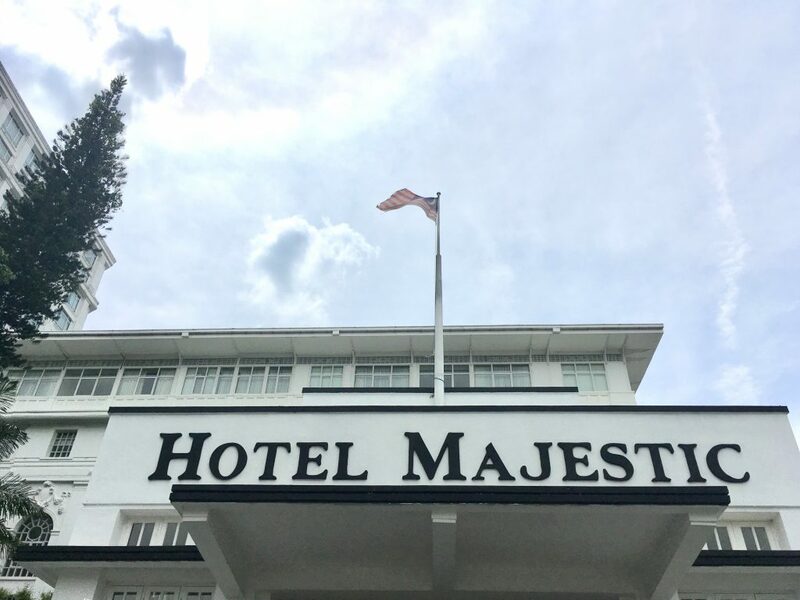 The Majestic Hotel Kuala Lumpur is active on Facebook and Instagram. 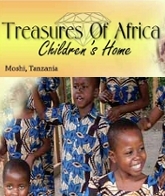 You can follow them for updates, news and content shared by their guests. 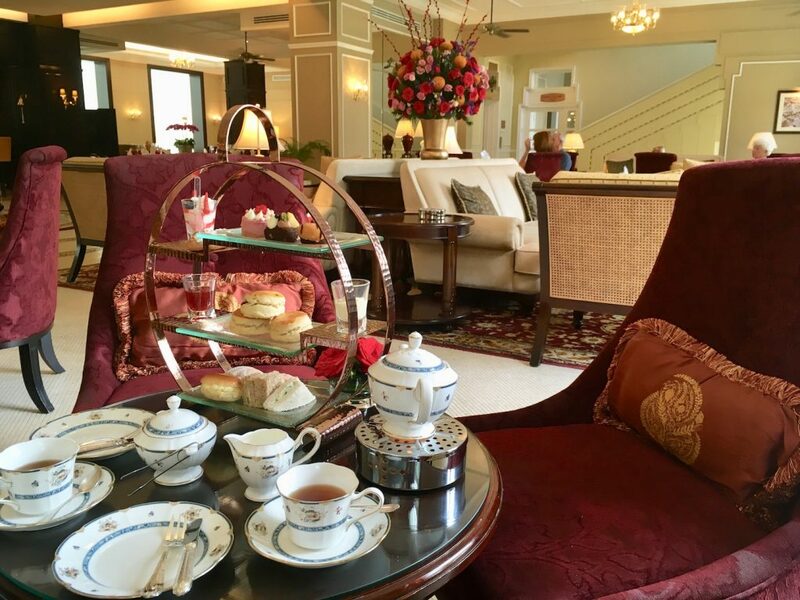 Afternoon tea at The Majestic Hotel Kuala Lumpur is the best option to have tea at a historic hotel in the city. Next time I’ll need to have tea inside The Orchid Conservatory! 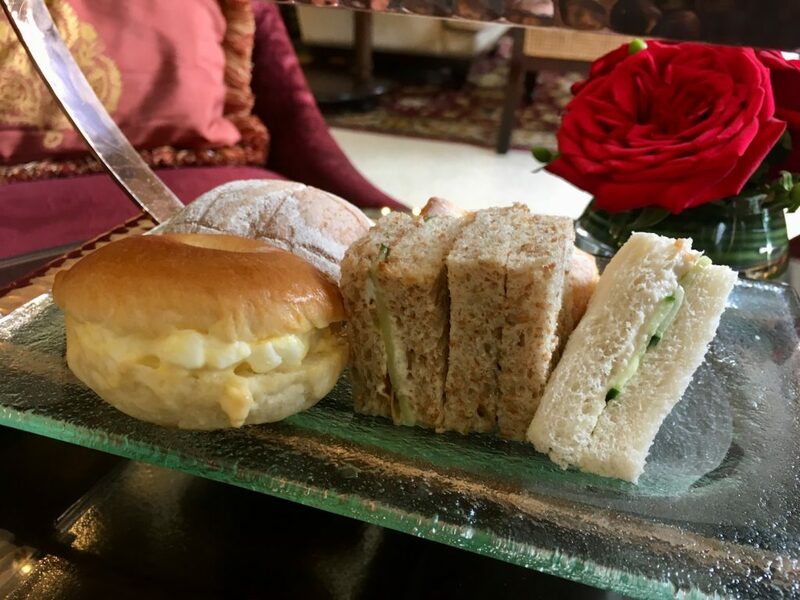 Note – afternoon tea at The Tea Lounge is RM 70 per person on weekends. 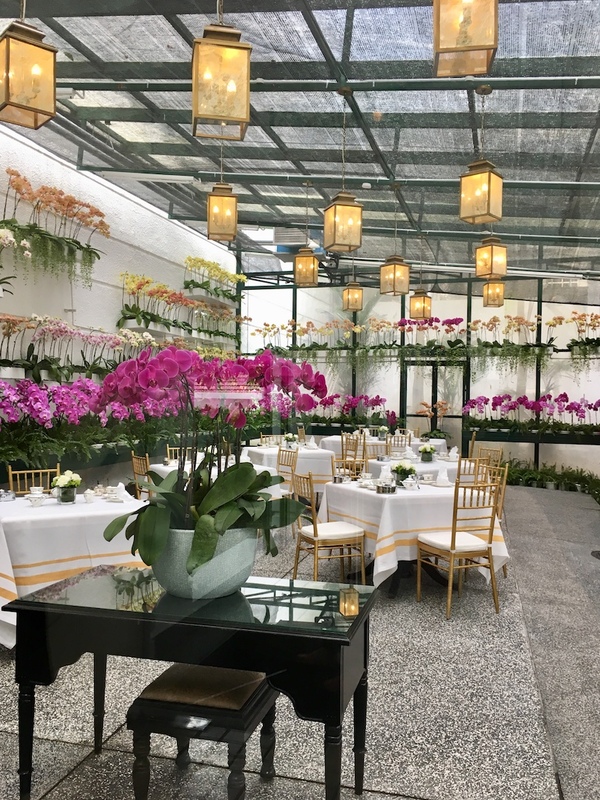 For afternoon tea at The Orchid Conservatory, it is RM 110 per person on weekdays and RM 120 per person on weekends. 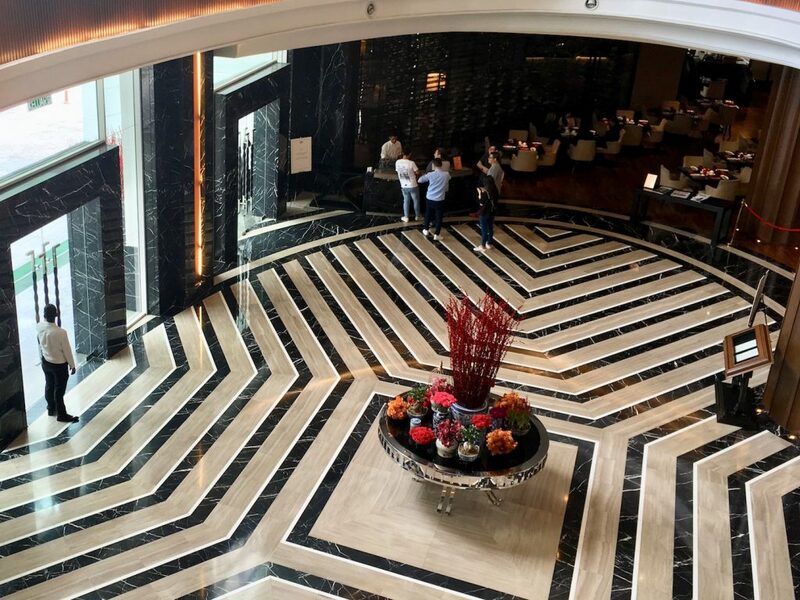 Note: A big thank you to The Majestic Hotel Kuala Lumpur for providing the afternoon tea for this review. As always, all views and opinions are my own.